We are dealing with ACTION not Accent. The names of these two settings in Foodie Pro are confusingly similar. I’m not sure why. In this video we will change the colors of the top bar and the colors of the eNews mailing list sign up box, wherever it’s displayed. 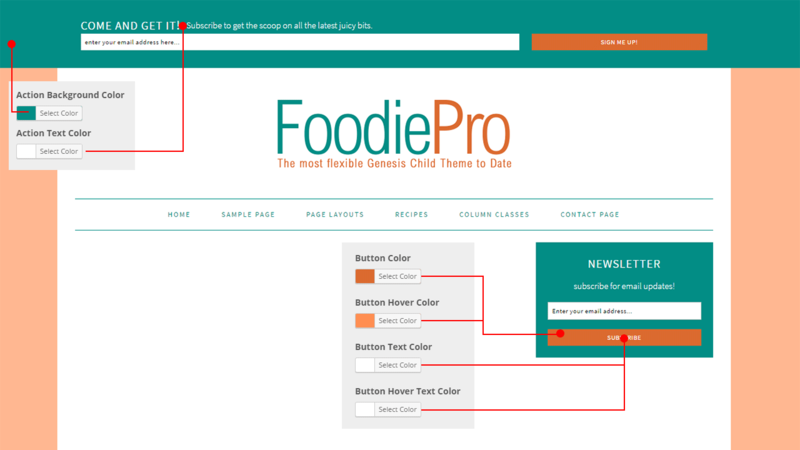 Foodie Pro has a widget area that spans the full width of the top of the site. This is often used to place a newsletter sign up box or some other prominent call to action. 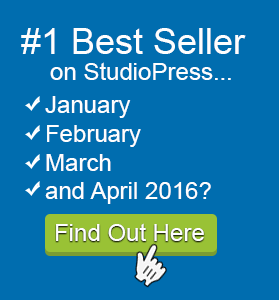 For instance you could place a link to your product page here. Or if you are selling a course you could advertise your sign up page here. The background color for this top bar is referred to as the Action Background color. This changes the headlines and paragraph text in the Before Header widget area of Foodie Pro. It also changes the headline and paragraph text in the Genesis eNews Extended widget, wherever it is used. In the Action settings we can change the background, text and button colors. See the list below. I hope these tutorials will help you get up to speed with Foodie Pro fast. All of these tutorials contain affiliate links.